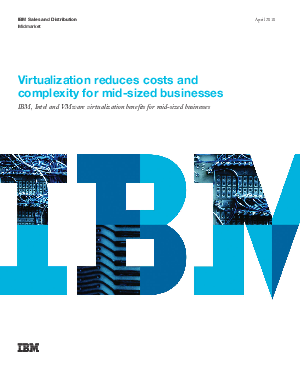 Read this IBM whitepaper to understand how mid-sized business can benefit from virtualization with new technologies and improved affordability. The paper shows how IBM can help you reduce costs, improve services and simplify management. It also includes specific examples of IBM solutions and the cost savings you can expect.